Purchasing a vehicle, whether new or used, is one of the major purchases you can make. Not only does it require considerable amount of money, but also considerable amount of research if you want to get the best deal. Although purchasing a vehicle from a dealer can be a bit more expensive than when buying from a private party, doing business with a licensed dealer is the safest and sometimes the fastest ways to go. Normally, the dealer is responsible for handling all the required paperwork for registering and titling the vehicle in your name. Before you take your trip to the dealer, conduct some research to determine the price of the vehicle you are buying, its reliability and safety. Don’t fall victim of what is commonly advertised as ‘good deals’. Enter with a plan and be objective on what you want. You can visit the website of the dealer of your choice to get a rough idea of the cars they have in their showrooms. Check to see their quoted price and what you are able to pay. Begin a business relationship with the salesperson and let them know the vehicle you are looking for in terms of price, lifestyle, brand and test. The Federal Trade Commission (FTC) provides guidelines to be followed when buying or selling used vehicles. It has a buyer’s guide that show the information to be disclosed when completing a transaction. According to some sections of this guide, the information to be disclosed includes the warranty, information about the buyer and vehicle description. The Federal Trade Commission website also gives information about penalties for violating the used car rule. The law also requires Kentucky sellers to inform buyers of any salvage status of vehicles they are selling. The law also requires sellers to inform the buyer if the vehicle they are selling is a lemon. Application for Kentucky Certificate of Title/Registration. Notice to County Clerk of Vehicle Acquisition. Motor Boat Transaction Record Application for Title/Registration. For more online forms for vehicle registration and titling, visit the forms section provided by the Central Forms Library and the Transportation Cabinet. If you are a Kentucky buyer and you plan to purchase a vehicle from an individual, it is advised to do some research before completing your purchase. Order a vehicle history report for the vehicle you are purchasing. This report contains detailed information about the vehicle’s accident history, damage and repair history, odometer reading, vehicle description and odometer reading. You can also check out the National Insurance Crime Bureau (NICB) to check whether the vehicle you intend to purchase has been involved in a serious accident or damage. This report will also help you determine whether the vehicle has a salvage certificate. Ask several questions about the car if you have suspicions. It is also wise to hire a certified mechanic to inspect the vehicle before purchase. 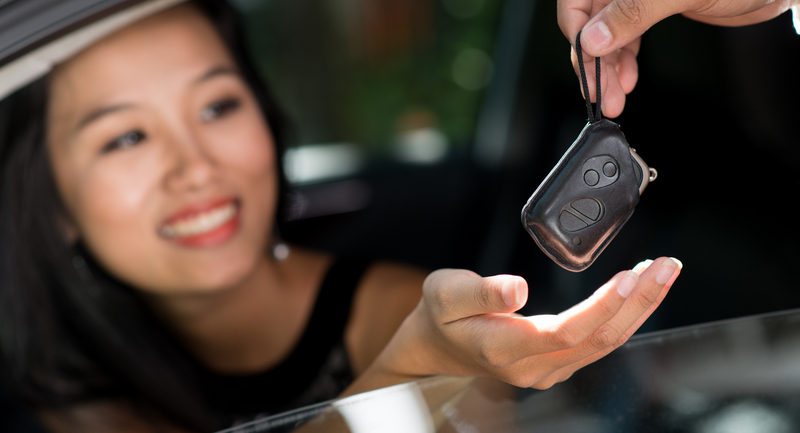 If you are selling your vehicle to a private party, it is advised that you go with the buyer to the nearest County Clerk’s office to complete your transaction there. This ensures that the vehicle ownership is transferred right away to the new owner, preventing additional taxes you may be required to pay if the other processes are followed. If you are a buyer in Kentucky, don’t purchase a vehicle without a title. If the title is missing, ask the seller to apply for a duplicate copy and sign it over to you. Without this vital document, you won’t be able to transfer ownership into your name. Registration papers are not required when registering and titling the vehicle. However, you may need this document when verifying the vehicle tags.